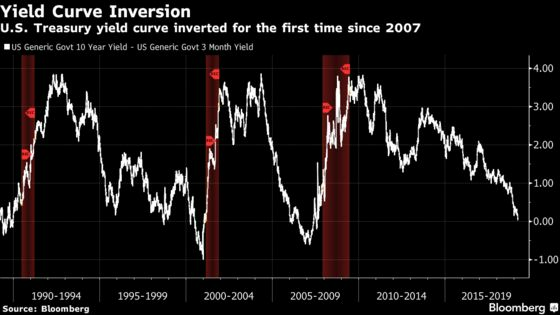 (Bloomberg) -- Trader worries over a slowdown in global economic growth are going mainstream. 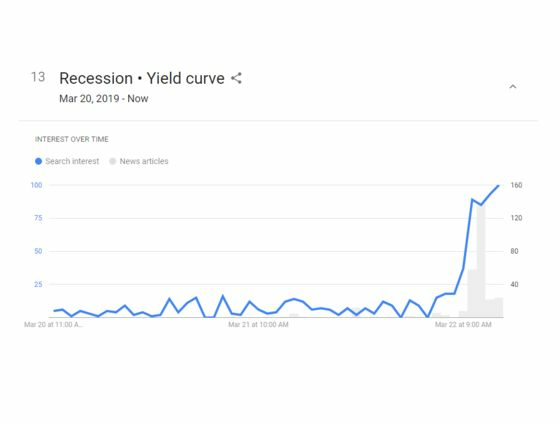 The terms “Recession” and “Yield curve” spiked on Google Trends Friday as the U.S. government bond curve -- a reliable market signal of an impending recession -- inverted for the first time since 2007. “Federal Reserve System" also surged with President Donald Trump nominating former campaign adviser Stephen Moore to be a governor of the Federal Reserve. All were trending in the top 20 real-time search list as of 2 p.m. in New York.